The SU Ag center is constantly conducting research on alternative plants with health and economic benefits to the citizens of Louisiana. Hibiscus, one of such plants is reaping health and economic benefits following years of intensive research. Hibiscus, known for its medicinal effects in lowering high blood pressure, is also yielding other products of economic impact as local restaurants take it to another level by using its jelly in dishes such as in the stuffed pork loin with cherries, charizo and hibiscus jelly. The “G” Spot restaurant owner, Chef Guidry, recently posted on his blog how he incorporates the jelly into his stuffed pork loin dish. The full blog is available at http://thegspotculinary.com/blog/stuffed-pork-loin-w-cherries-chorizo-hibiscus-jelly/. For more information on the nutritional and medicinal values of hibiscus, click on this link SU Ag Center. Baton Rouge, LA – The SU Ag Center recently signed a Memorandum of Understanding (MOU) with St. Landry Parish Government on a garden project that will enhance the quality of life of the community while saving the government some money. A garden project is proposed for St. Landry Parish. 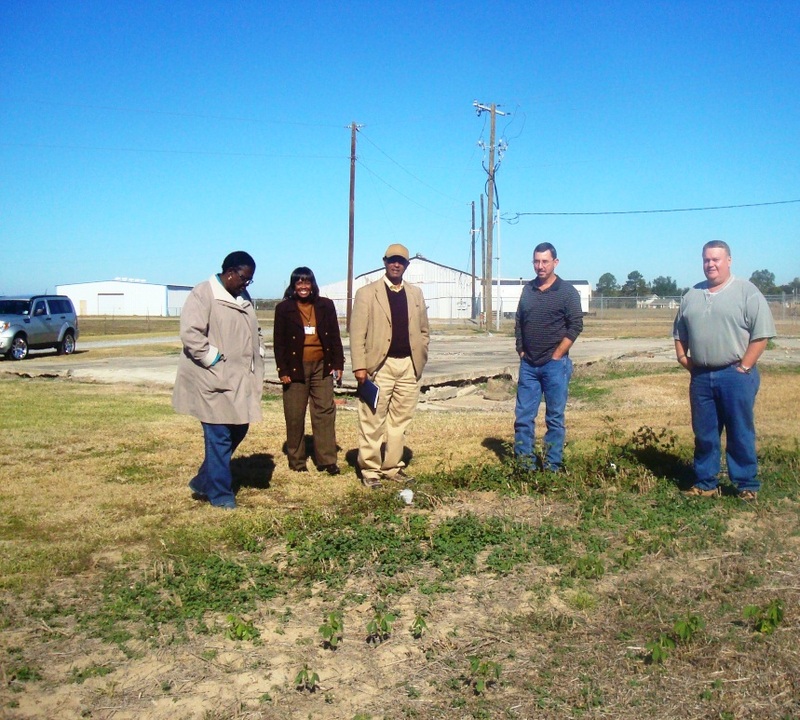 The parish government will provide land for the garden in Opelousas near the local airport. The garden will be run by inmates from the parish prison under the supervision and management of parish personnel. In the first year, the one-acre garden will grow sweet corn and vegetable crops with the potential of expanding to four acres in coming years. Southern University Ag Center will provide technical assistance and training for inmates and field workers. The training will include workshops and hands-on experience in the gardening operation, from raising seedlings, transplanting, maintaining to harvesting. Initially, the seedlings will be raised at the Southern University Agricultural Center green house. In the future, a garden storage shed will be erected onsite to enable the garden to raise its own seedlings. The produce will feed the inmates and the surplus will be sold to the community, thus increasing access to healthy food in St. Landry community, saving the parish some money and generating income. The purpose and scope of the project as delineated on the MOU are: to develop a garden that will be run by inmates so that they will have fresh supply of healthy food to eat and to share; to train inmates with valuable gardening skills that will help them with job opportunities upon their release; and to use the garden for model demonstration for communities and students in St. Landry Parish. BATON ROUGE, LA - The Southern University Agricultural Research and Extension Center will host the Annual Horse Show April 20-22 at the Maurice A. Edmond Livestock Show Arena in Baker, Louisiana. 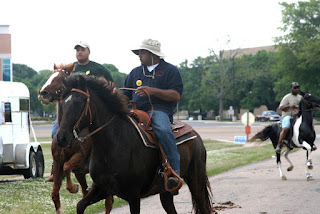 Trail riders from as far as Texas, Mississippi, and North Louisiana will travel to Baton Rouge for the event. Every year, an authentic horse parade leaves from the Southern University F.G. Clark Activity Center to the arena with different horse riding associations, from which, first and second place winners are selected by judges. The event is open to the public. 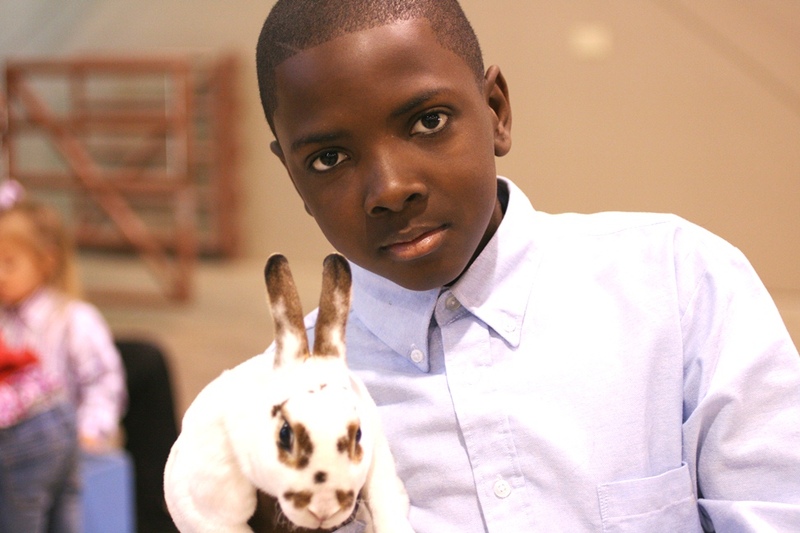 BATON ROUGE - Youth from across the state will travel to the Southern University Agricultural Research and Extension Center for the annual State and National Rabbit Show, April 14. The Show will take place at the Maurice A. Edmond Livestock Show Arena in Baker. 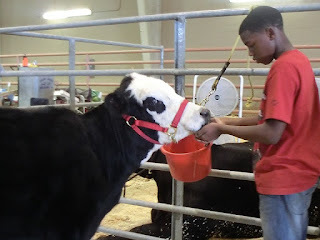 "This event teaches leadership skills, character development, and entrepreneurial skills to the youth as they prepare year round for this competition," says livestock show director Christie Monroe. The SU Ag Center’s Rabbit Show is the largest in the state with competitions in 16 sanctioned rabbit breeds. Participants are school-aged youth who represent Future Farmers of America (FFA) chapters, 4-H Clubs, and other youth groups. The Rabbit Show is sanctioned by the American Rabbit Breeders Association and is co-sponsored by the Louisiana Rabbit Breeders Association. The show is free and open to the public. For information and registration forms, contact Christie Monroe at (225) 771-4350 or christie_monroe@suagcenter.com. Baton Rouge, LA – The Louisiana Small farm conference took off yesterday with inspirational farm tours from the SU Ag Center across multiple parishes. The event gained momentum today with opening session presided over by Gina E. Eubanks, Vice Chancellor for Extension. Also bringing greetings to participants were Leodrey Williams, Chancellor; Adell Brown, Vice Chancellor for Research; and Rene P. Simon, Director, LA Agricultural Finance Authority, Louisiana Dept. of Agriculture. Dr. Dawn Mellion-Patin, Extension Specialist and conference organizer, received the more than 50 small farmers from Louisiana and beyond with utmost enthusiasm. Dr. Owusu Bandele, Professor Emeritus, horticulture, emphasized the theme of the conference, “Building Capacity of Louisiana’s Small Family Farm” during the opening session. Other presenters at the conference include officials from USDA, National Agricultural Statistics Service, Natural Resources Conservation Service, Farm Service Agency, Oklahoma Kerr Center for Sustainable Agriculture, Cleopatra Foods, LLC, Southern University Law Center and Southern University Agricultural Research & Extension Center. “I like to work the land,” said Diana Kimble who runs Kimble Farms. “I like to cook,” said the sister, Malva Jones. They grow different kinds of healthy herbs and vegetables, such as hibiscus, strawberries, blueberries, and tomatoes among other things. "We are doing what we love and making money doing it." 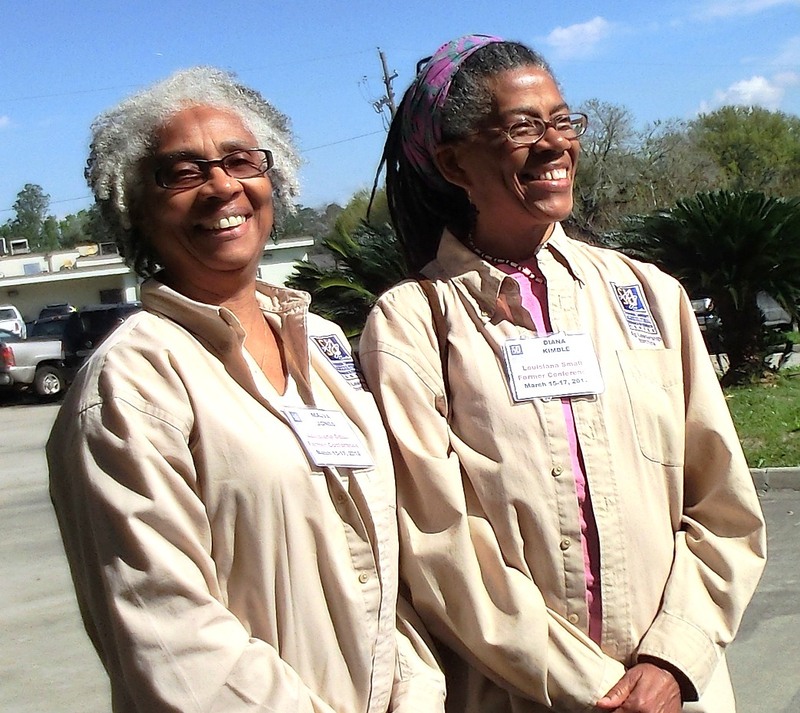 “Thanks to the Southern University Ag Center,” they both chimed in. The conference culminates tomorrow with a tour of the Red Stick Farmers’ Market in downtown Baton Rouge. For more information, contact Dr. Dawn Mellion-Patin at 225-771-3532. Baton Rouge, LA - The Southern University Ag Center invites Louisiana childcare providers to discover new ideas and exciting programs during two days of training. This training is an opportunity to enhance child care directors and providers. You are invited to join us March 16-17, 6:00 pm-9:00 pm in A. O. Williams Hall. Topics include Special Education; Health and Safety; It Takes Two; Infants and Toddlers; Learning Environments; and Discovering Young Scientists. Educational and Child Development sessions will be offered during this training and throughout the year. Remember no children are allowed to attend. Baton Rouge, LA - The USDA Farm Service Agency offices are moving toward a paperless operation. Producers are asked to enroll in the new GovDelivery system which will provide notices, newsletters and electronic reminders instead of a hard copy through the mail. This free e-mail alert service allows producers to receive important FSA news and information as it becomes available. To subscribe, all you need is a valid e-mail address. Your e-mail will only be used to deliver the requested information or to give you access to your subscription preferences. FSA, like many other organizations, is trying to work smarter and be more efficient. Moving to electronic notifications via email will help conserve resources and save taxpayer dollars. County Committee ballots will continue to be mailed to all eligible producers. 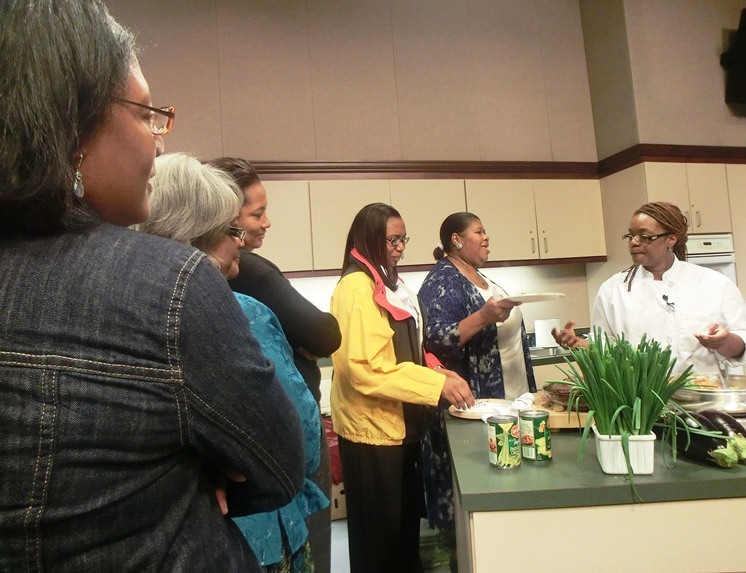 Baton Rouge, LA – The SU Ag Center held a train-the-trainer cooking demonstration for Extension Agents to take back and implement in their respective parishes. A local chef trained approximately 20 agents on how to cook healthy while stretching the budget. 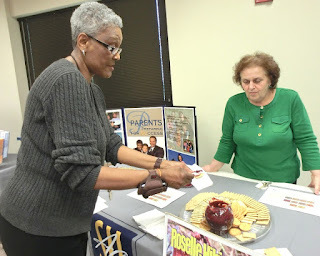 The agents will in turn teach the lessons to parents, children and interested members of the community. Consequently, healthy food preparation will catch on, reducing the high incidence of health-related issues among our residents. “Healthy food preparation actually saves money and time …,” said Chef Celeste Gill. For more information, please contact Deshoin York-Friendship at 225-771-2242. Baton Rouge, LA – The USDA Announced Start2farm to Support America's Future Farming Generations, in Washington, February 16. Agriculture Secretary Tom Vilsack and USDA's National Agricultural Library, in partnership with the American Farm Bureau Federation, announced Start2farm.gov, a new online portal that helps to provide assistance for beginning farmers and ranchers. The portal includes links to training, financing, technical assistance and other support services specifically for beginning farmers and ranchers as well as successful case studies about new and beginning farmers and ranchers. Most beginning farmers and ranchers experience shared challenges in getting started. The two most common and important challenges faced by beginning farmers are (1) having the market opportunity to buy or rent suitable land and (2) having capital to acquire land of a large enough scale to be profitable. Start2farm.gov provides information about USDA programs of particular assistance to beginning farmers. Visit http://www.start2farm.gov/ for more information. Baton Rouge, LA – On Feb 29 the USDA introduced The Know Your Farmer, Know Your Food Compass. Are you a farmer, rancher or food business entrepreneur interested in local and regionally-produced food? Are you a community leader wondering how local and regional food systems can help your local economy? Are you a consumer interested in learning more about where your food comes from? Now you can. You can learn more about USDA’s support of local and regional food through the new Know Your Farmer, Know Your Food Compass. 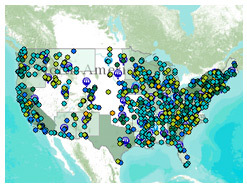 The Compass is an online multi-media narrative with stories, pictures and video about USDA’s support for local and regional food systems and an interactive map of USDA-supported local and regional food activities in all 50 states. With the Compass, you can navigate USDA resources for local and regional food; meet farmers, ranchers, businesses and communities in your state that are participating in local food chains; and learn about local and regional food projects across the country. The Initiative was launched in 2009 to coordinate the work of USDA’s 17 agencies and many staff offices that invest in local and regional food systems. Since then, USDA has supported nearly 4,500 seasonal high tunnels (or “hoop houses”) to help farmers extend their growing seasons. The Know Your Farmer, Know Your Food Compass is a valuable resource documenting the innovation, entrepreneurship and impact of local food systems across the country. It is driving job growth, keeping farmers on the land, and keeping wealth in rural communities. Dive deep into this new tool, and be inspired by the stories it tells and the ideas it can spur for you and your community. Baton Rouge, LA - The unveiling of the inaugural Southeast Louisiana’s Save Rural America Rallyon March 12 serves to show appreciation for America’s farmers. 1. Florida Arena Parishes, 1301 NW Central Avenue, Amite, LA, Monday, March 12, 10:00am. 2. Robert Robinson’s Farm 353 Greenwich Drive Brookhaven, MS, Monday, March 12, 3:00pm. 3. Grenada’s Farmers Market, Grenada County Extension Office Auditorium 1240 Fairground Road, Suite E, Grenada, MS, Tuesday, March 13, 10:00am. 4. TRI-County Agriculture Cooperative at Tractor Supply Company, 1216 HWY 6 East, Batesville, MS 38606. Batesville MS, Tuesday, March 13, 3:00pm. Live coverage is provided from rural America by means of phone and internet. Alcorn State University’s Media Division is partnering with Winston County Self Help Cooperative to bring you sounds and interviews with rally participants from each site. Southeast Louisiana’s Save Rural America Rally Monday March 12, broadcast 9:30-10:30am at this computer link http://www.blogtalkradio.com/savingruralamerica/2012/03/12/saving-rural-america-blogtalkradio-show or you can listen by phone and call in your questions for rally participants at 323-580-5753. North Mississippi’s Save Rural America Rally Tuesday March 13, broadcast 3-4:00pm at this internet link www.wpr1.org with Alcorn State University’s Jerome Myles. 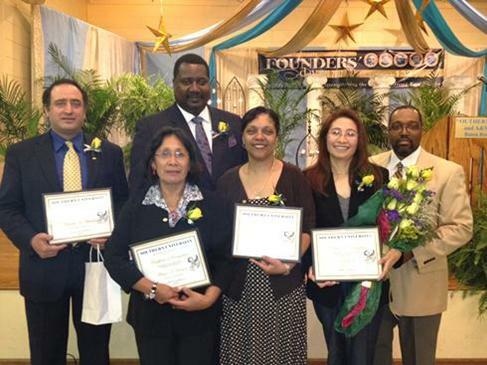 Congratulations to Southern University Ag Center Founders’ Day Honorees! Back row, l-r: Abdollahi, and Marshall. Front row l-r: Berhane, Badon, Qi, and Rogers. ﻿ Baton Rouge, LA – On March 8, faculty and staff from the Southern University Ag Center were recognized for their dedicated years of service and hard work with the Southern University and A&M College System. Celebrating these distinct milestones were Terrance Marshall, Extension Agent, East Baton Rouge Parish, 30 Years of Service; and Kamran Abdollahi, Professor, Urban Forestry; Yadong Qi, Professor, Urban Forestry; Donna Badon, Creative Specialist; Mila Berhane, Senior Research Associate; and Christopher Rogers, Director of Technology Services, all 20 Years of Service. Workshops for Black Farmer Claimants in Pigford 2 Lawsuit in Oklahoma, Georgia, Louisiana and South Carolina: Understanding the Lawsuit and the Claim Form in the Black Farmer Class Action Lawsuit against the USDA. 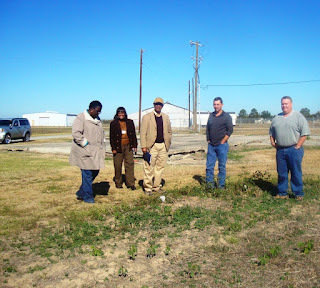 There are four workshops scheduled in March 2012 by the Federation of Southern Cooperatives/Land Assistance Fund and the "Network of Black Farm Groups and Advocates" to assist claimants in the Black Farmer lawsuit against the USDA. The workshops will take place in Oklahoma, Georgia, Louisiana and South Carolina. • OKLAHOMA: On Saturday, March 10, 2012 a workshop will be held at the 6th Annual Economic Development Conference of the Oklahoma Black Historical Research Project at the Metro-Technology Center located at 1900 Spring Lake Drive, Oklahoma City, OK 73111. The workshop will take place from 8AM to 5PM. Contact 405-201-6624 for more information. • GEORGIA: On Wednesday, March 14, 2012 a workshop will be held at the C.E. Weir Center, 307 West Bryan St., Douglas, GA 31533. The workshop will take place from 9AM to 4 PM. This meeting is co-sponsored by the Southern Rural Black Women's Initiative for Social Justice. 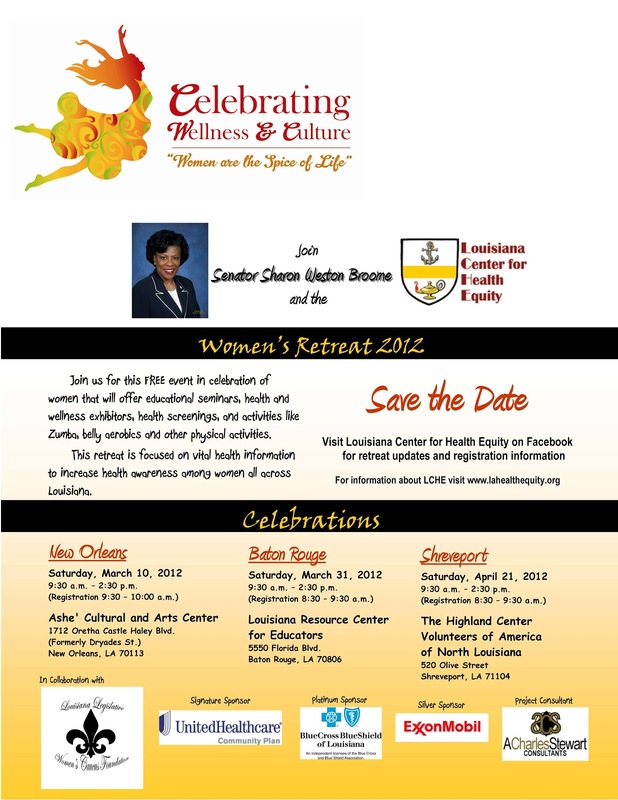 • LOUISIANA: On Saturday, March 17, 2012 a workshop will be held at the Southern University Agricultural Research and Extension Center's, Louisiana Small Farmer Conference at the Felton G. Clark Activity Center (Mini-Dome) on the campus of Southern University. The workshop will take place from 9:30AM until 5:00PM. Contact 225-771-2242 for more information. • SOUTH CAROLINA: On Saturday, March 24, 2012 a workshop will be held at the St. John United Methodist Church/ Multi-Purpose Building, 214 West Seven Pines Street, Lamar, SC 29069. The workshop will take place from 8:30AM to 4PM. The meeting is co-sponsored by the United Farmers USA and the Rural Advancement Fund. Contact 843-319-7212 for more information. The workshops will offer claimants information about who qualifies in the lawsuit and about the claims process itself. 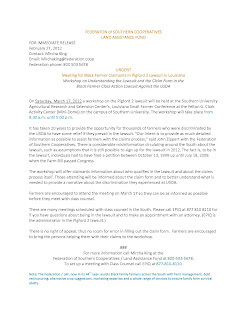 Those attending will be informed about the claim form and to better understand what is needed to provide a narrative about the discrimination they experienced at USDA. Claimants are encouraged to attend the meetings so they can be as informed as possible before they meet with class counsel. There is no right of appeal, thus no room for error in filling out the claim form. Claimants are encouraged to bring the persons helping them with their claims to the workshop. For more information call Mircha King at the Federation of Southern Cooperatives/Land Assistance Fund at 800-503-5678. Note: The Federation/LAF, now in its 44th year, assists Black family farmers across the South with farm management, debt restructuring, alternative crop suggestions, marketing expertise and a whole range of services to ensure family farm survivability. 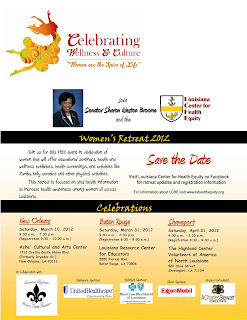 Baton Rouge, LA – The Louisiana Center for Health Equity will hold “Women’s Retreat 2012” in Baton Rouge, on Saturday, March 31, 9:30 a.m. – 2:30 p.m.; in New Orleans, March 10, 9:30 a.m. – 2:30 p.m.; and in Shreveport, April 21, 9:30 a.m. – 2:30 p.m.
A flyer is attached for full details. For more information, please contact Dr. Gina E. Eubanks at 225-771-2242. ﻿ Baton Rouge, LA - The Southern University Agricultural Research and Extension Center concluded its 69th Annual Livestock Show with more than 400 participants from across the state on March 3. During the three-day event, youth from across the state had the opportunity to display winning animals contending for top prizes. Winners of state champions in various breeds of beef and dairy cattle, hogs, sheep, lamb, and goats received rosettes, banners and ribbons. The pre-school children from local schools enjoyed the all-time favorite petting zoo, featuring a variety of small farm animals. Tour stops included discussions about different animals, their food sources; the effect of agriculture on everyone's life; face-painting; tobacco-free living, and healthy eating habits. Top prize for the champion market lamb, $4,240 went to Mackenzie Castro of Assumption Parish; Hunter Millican of East Baton Rouge Parish claimed champion market steer at $3,600, and Kendyl Balentine of Bossier Parish, took home $3,500 for champion market goat. 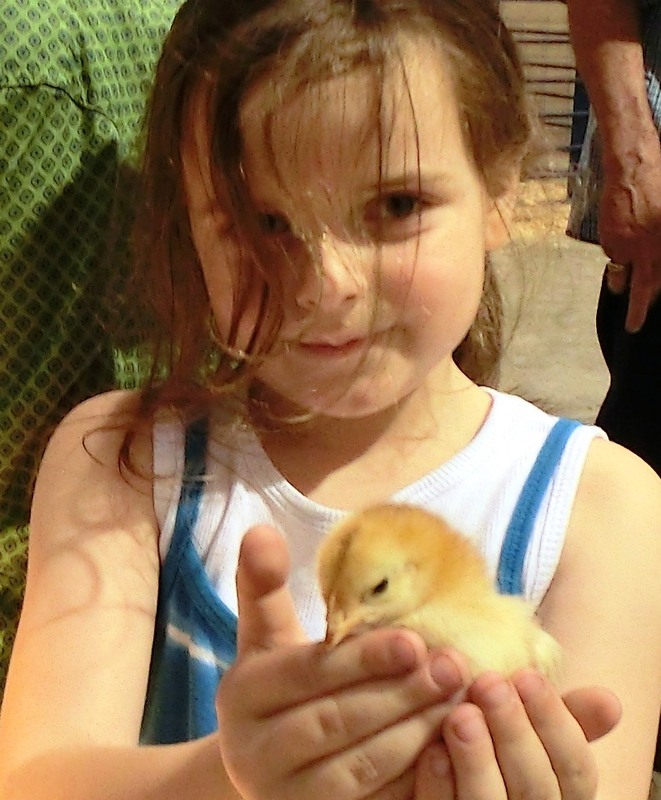 Baton Rouge, LA – The SU Ag Center kicked into high gear on March 1, with its 69th Annual Livestock Show at the M.A. Edmond Arena in Baker, located on Scenic Hwy. Youth from across Louisiana arrived to vie for prizes in a competitive, yet family oriented environment with showmanship in goats, lamb, steer, and hog competition. The arena has turned into a camp ground dotted with trailers and tents, housing family members and friends of contestants. They arrived bearing groceries, grills, an assortment of cooking and grooming tools, ready to work and play. While mom and pop fired up the grill for dinner, the youth were busy shaving, bathing and going all out grooming their animals for the show. The skills that the youth and the animals have acquired over the past several months will be displayed in showmanship throughout the weekend. Tonight, the arena will be buzzing with activities until 9:00 p.m. Following the beef, goat, hog, lamb, and steer shows, and group tours, the “Night with the Stars” contest starts at 7:00 p.m., and by 9:00 p.m., all culled resale animals will be checked into designated pens. On Saturday morning, the awards presentation, which starts at 8:30 a.m., will be followed by the junior auction and sale of champions. Please see attached press release. On Saturday, March 17, 2012 a workshop on the Pigford 2 lawsuit will be held at the Southern University Agricultural Research and Extension Center’s, Louisiana Small Farmer Conference at the Felton G. Clark Activity Center (Mini‐Dome) on the campus of Southern University. The workshop will take place from 9:30 a.m. – 5:00 p.m. It has taken 20 years to provide the opportunity for thousands of farmers who were discriminated by the USDA to have some relief if they prevail in the lawsuit. “Our intent is to provide as much detailed information as possible to assist farmers with the claims process,” said John Zippert with the Federation of Southern Cooperatives. There is considerable misinformation circulating around the South about the lawsuit, such as assumptions that it is still possible to sign up for the lawsuit in 2012. The fact is, to be in the lawsuit, individuals had to have filed a petition between October 13, 1999 and July 18, 2008 when the Farm Bill passed Congress. The workshop will offer claimants information about who qualifies in the lawsuit and about the claims process itself. 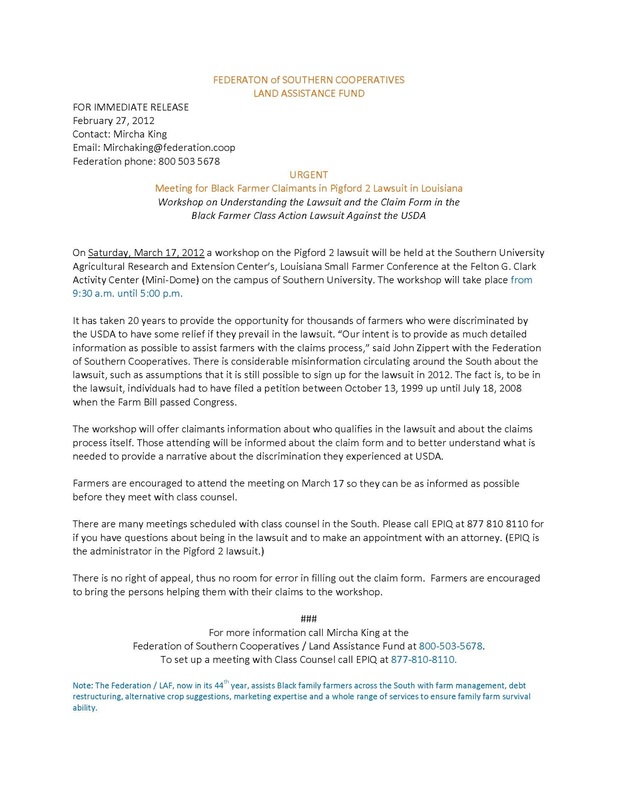 Those attending will be informed about the claim form and to better understand what is needed to provide a narrative about the discrimination they experienced at USDA. Farmers are encouraged to attend the meeting on March 17 so they can be as informed as possible before they meet with class counsel. There is no right of appeal, thus no room for error in filling out the claim form. Farmers are encouraged to bring the persons helping them with their claims to the workshop. For more information call Mircha King at the Federation of Southern Cooperatives / Land Assistance Fund at 800‐503‐5678. To set up a meeting with Class Counsel call EPIQ at 877‐810‐8110. Note: The Federation / LAF, now in its 44th year, assists Black family farmers across the South with farm management, debt restructuring, alternative crop suggestions, marketing expertise and a whole range of services to ensure family farm survival ability.